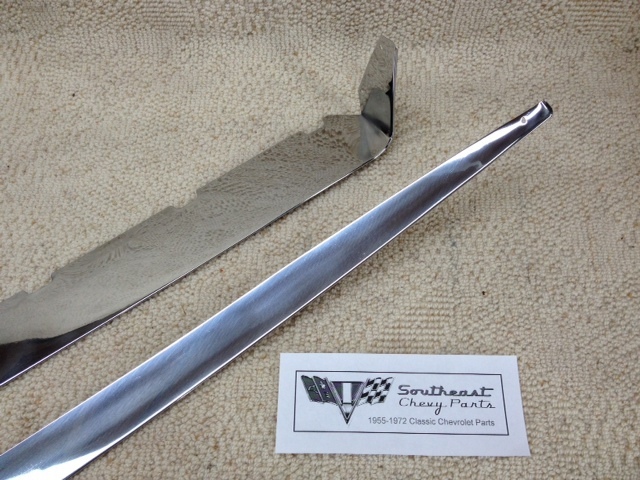 These 1955-1956-1957 Chevrolet 2-door hardtop vent window shades are original GM parts. The two piece set fits just below the roof line and stretches from the door all the way back to the rear of the quarter, giving everyone a comfortable shade from the blaring sun. Some of the sun visors may have minor deterioration, but they are in good condition. For an additional cost we can also have the vent shades professionally polished (as shown in the photo).